Sustainability and premiumisation are some of the primary trends driving the industry at the moment. Callum Tyndall talks to Nicholas Reichenbach, founder of Flow, about the company’s ‘ultra-hydrating’ water and setting new standards for industry sustainability. As consumers increasingly seek products that can offer them a premium experience, as well as conforming to higher sustainability standards, brands are looking to innovate with both sourcing and packaging. Flow is a company offering artesian water that, due to being naturally alkaline, reportedly offers ‘ultra-hydration’. In addition, the company is packaging its product with a focus on sustainability, using a carton that is entirely recyclable and almost entirely renewable. We spoke to the company about its mission, what makes it different from other water brands, and why they take sustainability so seriously. Callum Tyndall: Can you give us a broad overview of Flow and the company’s mission? Nicholas Reichenbach: Flow is a Canadian premium water brand that produces naturally alkaline spring water in an eco-pack. The water is mindfully sourced from a family-owned artesian spring. The water is rich with natural essential minerals from the limestone bedrock that surrounds the aquifer, which provides electrolytes and an alkaline pH of 8.1. Our mission is mindful hydration. We believe that it is important for consumers to make positive choices in the water they drink – where it comes from, the healthy minerals it contains, and how it’s packaged can all have a powerful impact on individuals, our communities, and our environment. We call it mindful hydration and it guides everything we do, from ensuring our unique source is protected to our sustainable packaging and transparent business practices. What about Flow Alkaline Spring water sets it apart from regular brands? Can you explain ‘ultra-hydration’? Flow alkaline spring water is naturally alkaline, which means it has a high pH level at its source. That’s because Flow is filtered through a limestone-encased aquifer, which enhances the water with its unique mineral content. These essential minerals, like magnesium, potassium and bicarbonate, change the water’s pH level, making it naturally alkaline, while giving Flow electrolytes and a soft, smooth taste. Because of its delicious taste, Flow Alkaline Spring Water makes it easier to achieve your daily hydration goals, helping maintain all of the important functions in your body. 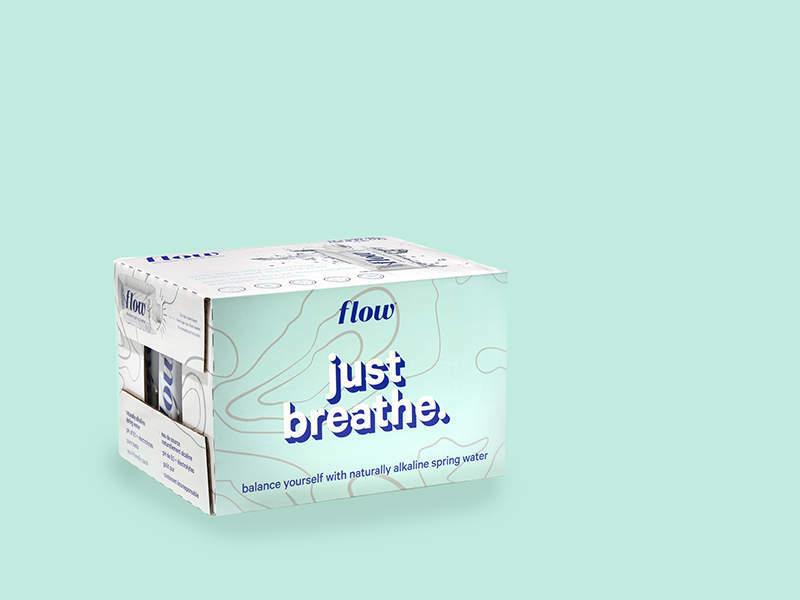 Flow is packaged up in an eco-friendly 100% recyclable, nearly 70% renewable Tetra Pak carton with a plant-based sugarcane lid. We are committed to creating products and packaging that are renewable and with minimal impact on the environment. Flow is B Corp certified, which means we are meeting the highest standards of social and environmental accountability. Do you think the techniques and sourcing you’re employing are likely to become industry standards? Yes, many businesses are starting to evaluate the effects of their products on the environment and taking action. Consumers are leading the charge by demanding sustainable products and production techniques. Flow has placed a clear importance on sustainability, why is this such a priority in your approach? I came up for the idea of Flow Alkaline Spring Water at Burning Man. The mantra of the Burning Man festival is ‘bring what you need and leave the earth untouched’ yet I found this juxtaposed against a heaping mountain of plastic bottles being trucked out at the end of the week. I thought to myself, there has to be a better way and that’s when the idea for Flow started percolating. My family has owned an artesian spring in South Bruce County, Ontario, Canada for generations. I knew this was an untapped natural and self-sustaining resource but it wasn’t until I conceived of the idea to bottle the water in eco-friendly packaging did it truly feel right. What are you specifically incorporating in terms of sustainability that you think the industry as a whole should be considering? Every business needs to examine their supply chain and look for opportunities to reduce their environmental impact. Each business is different, but even the smallest changes can add up to a big impact. Lastly, is there anything on the horizon that the industry should be looking out for? I’m excited to see innovation and disruption in categories like Consumer Packaged Goods. I think businesses are having to respond to savvy consumers that are looking for unique packaging, quality ingredients, and sustainability mandates.